In cases where you have thinning hair, patches of hair or no hair at all, then protecting your scalp from the inside of your wig could be an option for you. 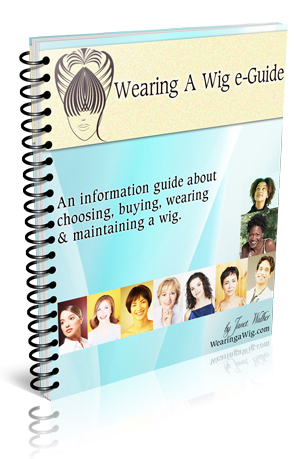 This option really comes into play if you find that the wigs you wear are irritating your scalp or you are new to wearing wigs and are unsure to how your scalp will feel against the inside of the wig. Many people become accustom to not wearing any protection on their scalp especially those who are fully used to wearing wigs. Why would you want to protect your scalp? Well wearing a wig in the first instance can irritate your scalp and become uncomfortable. Another reason for Scalp Protection is that you may find that your scalp becomes warm and could start to sweat. As you know wigs are made on a track system which allows air to flow through the wig to aid in your scalp to breathe. However it all depends on your personal or medical circumstances whether you find that your scalp becomes sweaty by wearing a wig. To alleviate this issue you could wear a thin wig liner also known as a wig cap or stocking cap on your head. A wig cap can help with keeping your scalp cool and help in soaking up any sweat that may occur. However you also have to be aware that by wearing a wig cap could make your wig slip or move a little because of the smooth surface of the wig cap against the inside of the wig.. Wear your wig cap and wig in the house for as long as possible and monitor any movement of the wig and the temperature of your scalp. By doing this you will have a better understanding of how your wig sits on your head and if your scalp becomes sweaty.